Each singer woman has the desire to get a flawless and glowing skin. 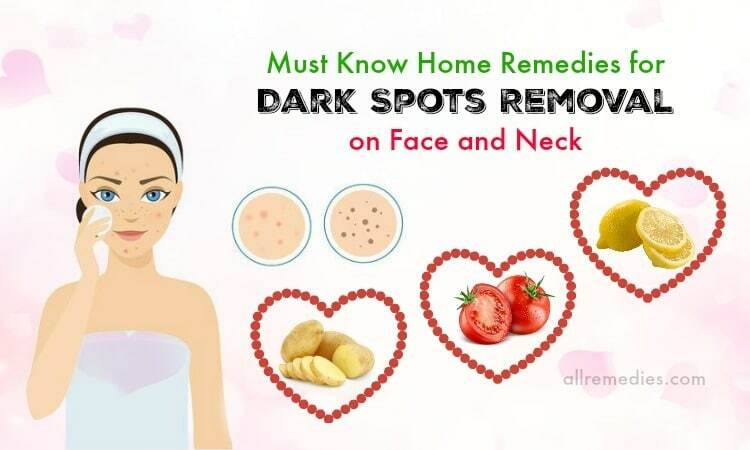 Pimples, black heads and acne can make your skin dry and dull looking. 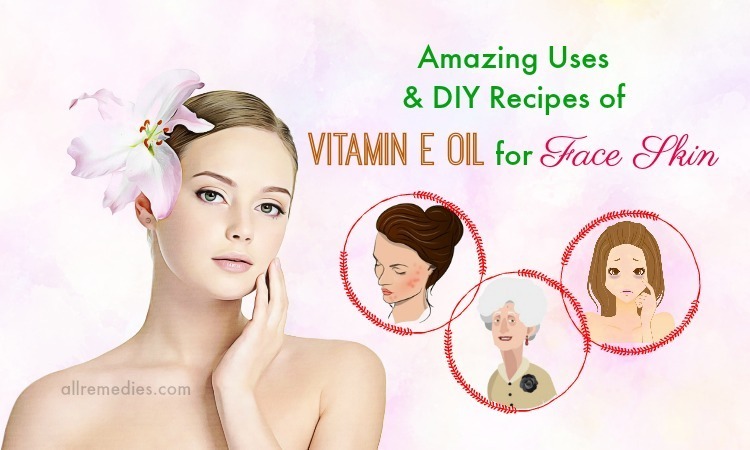 There are lots natural homemade beauty tips helping you in getting glowing skin. Instead of buying expensive products, you should use natural ways or home remedies. 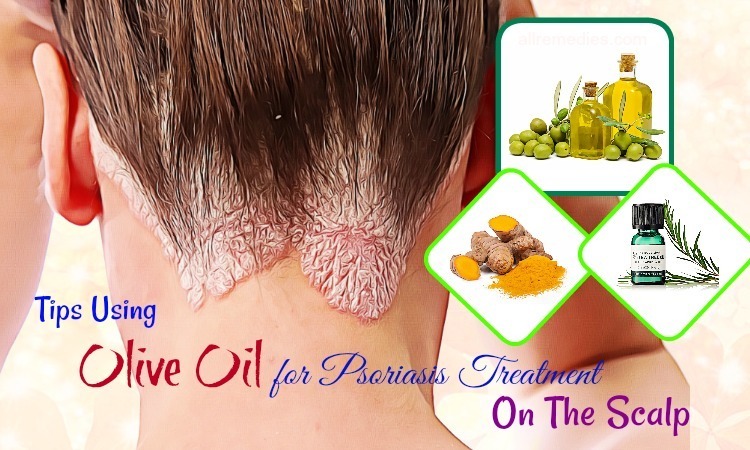 These natural treatments are not only effective but also are cheap and safe. 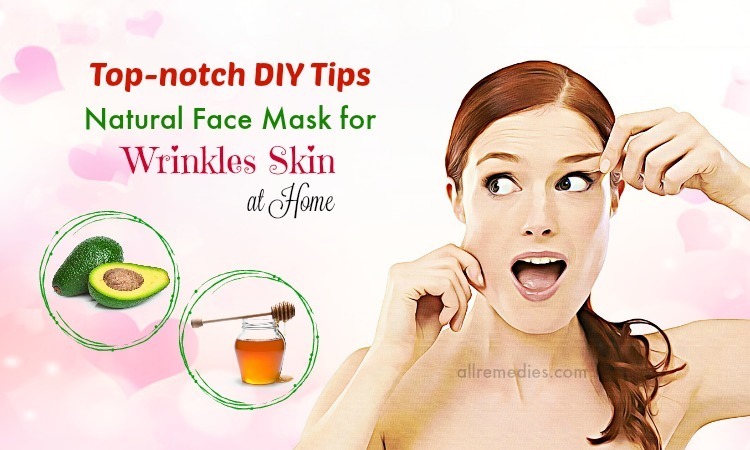 In this article, AllRemedies.com will introduce you top 31 natural homemade beauty tips for glowing skin in summer at home. All of the ways in this article is collected from reliable sources. 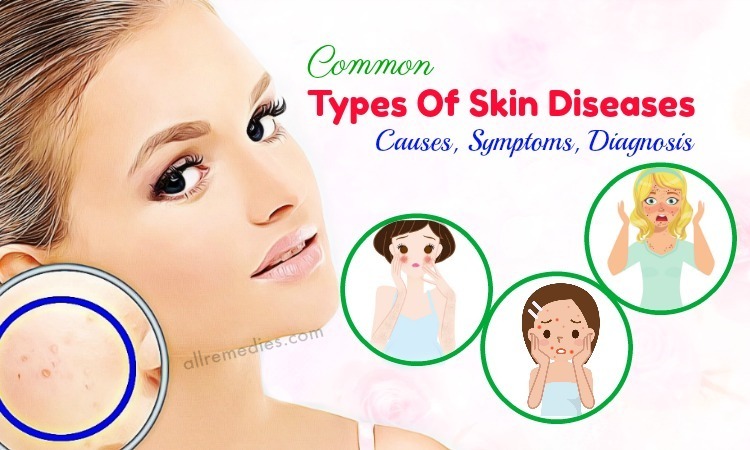 Each individual has a different skin condition; hence you should consult your doctor before applying any way. Read on to learn more about the top 31 beauty tips for glowing skin in summer! Truly, if you don’t sleep well it will shows on the face immediately. You look tired and irritated. 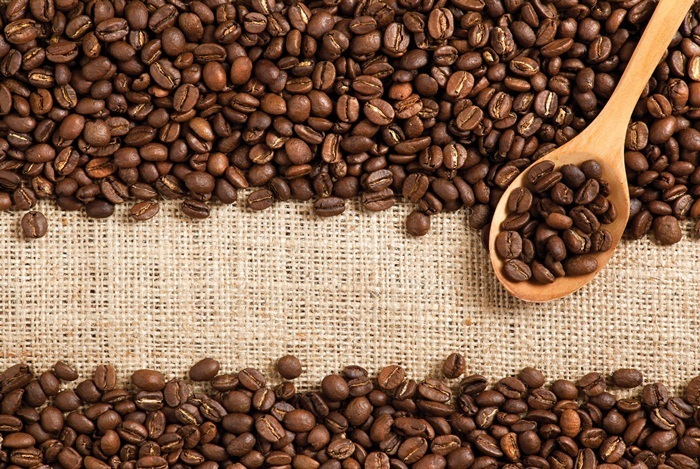 In addition, lack of sleep can cause the problem of blood vessels in order to dilate and the result in dark circles. Your skin undergoes repairing, rebalancing and restoration while you are sleeping. Furthermore, the dead skin cells will give away to newer cells. Also, your face gets an immediate lift. All the metabolic and hormonal changes occur in your body while sleeping. Therefore, lack of sleep will disrupt your body processes. If you want a healthy and glowing skin, you need to sleep about seven to eight daily. However, you don’t oversleep as it may cause cell breakdown, keep a balance. It is suggested to fix the sleeping and waking time. You had better sleep on one soft pillow. Any exercise that helps you strengthen muscle also helps you get glowing skin. You must exercise for half an hour minimum every day. If you meet skin problems like acne, rosacea, and psoriasis, you should take ample precautions before doing exercise, but don’t leave skin problems hinder the active life. Exercise boosts skin health and helps to increase blood circulation as well. In addition, exercise also helps to get rid of free radicals and cellular debris from your body and clear it from within. Moreover, exercise helps to reduce stress and this maintains skin problems at bay. Especially, exercise tones your body as well as makes you look beautiful. As you know, it is really important to let the skin breathe. You need to remove your makeup before going to sleep every night. Using oil to cleanse makeup is maybe the best choice than using harsh chemicals. 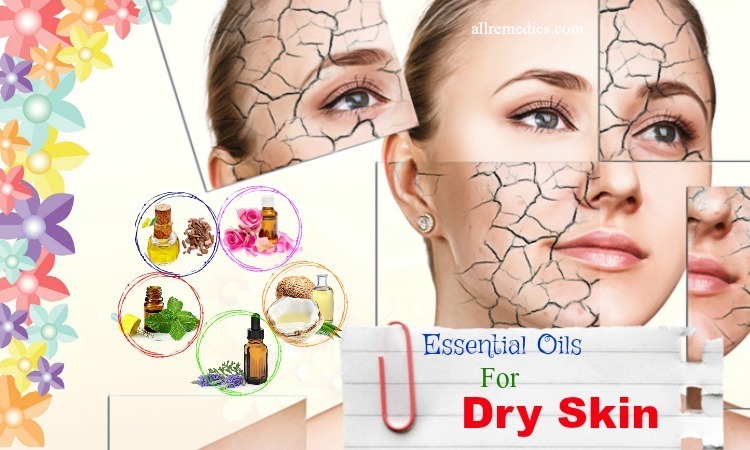 Some people have oily skin feel that the excess oil may cause more harm, it is not so, the oil helps to dissolve sebum and dirt without stripping your face of this natural oils. A few people with oily skin may also use astringent such as neem based cleanser. Blend virgin olive oil (half cup) and castor oil. Next, apply it on the face and gently massage. You use this oil to gently get rid of all the eye makeup. Then soak the washcloth in some warm water and extract the excess moisture. After that, place it on the face and allow it for one minute and finally wipe out this excess oil. The simple oil cleansing routine removes all impurities. You should incorporate Vitamin A and C rich foods in your daily diet. This method will provide a natural glow to the skin. As you see, vitamin C tablets are readily available. You can take one tablet daily post-lunch for one clear skin tone. As you know, clean skin is healthy and beautiful. It’s necessary to maintain your skin cleansed of dirt, oil, and sweat to prevent a dull appearance and clogged pores as well. You had better rinse the face with one gentle cleanser two times a day (morning and night), followed by a fast sweep with toner on one cotton pad. Also, clean your face after activities like exercising, gardening, cleaning the house, or physically exerting activity or any other dirty. If you don’t have free time to wash the face, or just want to remove that “tired” look, you can use an astringent to clean and refresh your skin. You can try witch hazel on one cotton pad. Another option is to fill one spray bottle with alcohol (one part) to water (six parts) and add your favorite essential oil (a few drops). Close your eyes and then lightly spritz your face. Surprisingly, you will feel invigorated and the face will show it! Keeping the skin moisturized is really important. 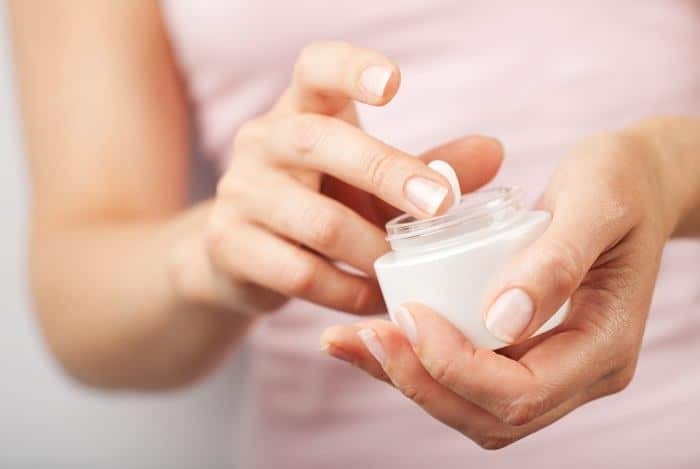 Even if the skin condition is oilier than usual due to the pregnancy hormones and summer heat, you had better use an oil-free moisturizer in order to replace the moisture, which is stripped when your face is cleansed. You should apply moisturizer to the face after each clearing. Look for products, which are hypoallergenic, because many types of skin become very sensitive to pregnancy changes. One of the most important things you may do to keep your skin younger looking, healthy is to wear sunscreen daily. This tip is really true when you are pregnant as your skin may be more prone and sensitive to burning. The reality, if you tend to have skin irritations or breakouts, you need to look for extra-gentle sunscreens or oil-free especially formulated for the facial skin. The stress of pregnancy and summer can do one real number on the skin. But you can combat back by nourishing the skin with one relaxing facial mask. 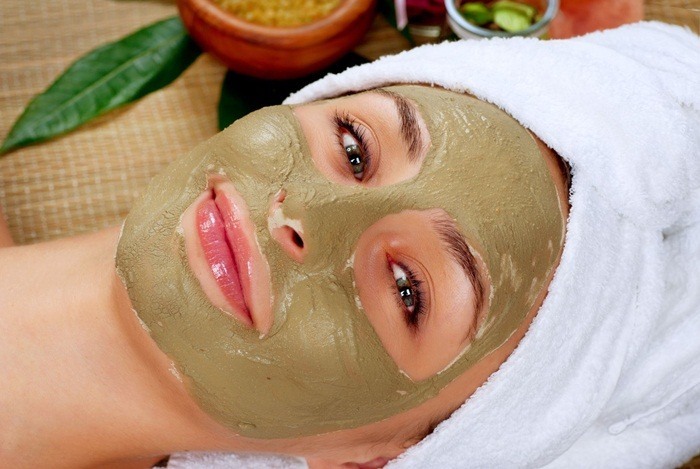 You can buy a mud mask for oily skin, an avocado mask for dry skin, or a botanical mask for normal skin. For all skin types, here’s a simple mask you can prepare at home: Simply, mix oatmeal (1/2 cup) with warm water and honey (a tablespoon). Apply liberally to the face, avoiding your eye area. Sit back and then relax for about 10 minutes and lastly rinse well. The skin will feel fresh and soft! 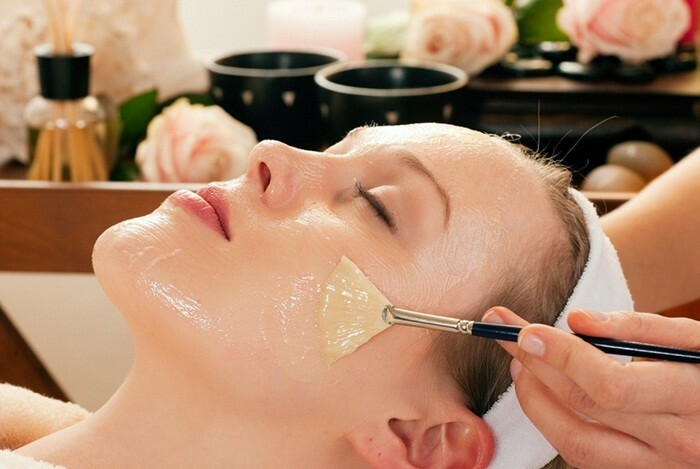 Pamper is also considered as one of the best beauty tips for glowing skin. Your skin will look and feel fantastic and healthy if you make it one point to pamper it about once per week. Simply, you cleanse your face gently, and then steam it over one bowl of hot water with rose leaves, lavender and/ or the favorite fragrant tea, for about five minutes. Next, splash your face with cold water and lastly apply some moisturizer and toner. Your pores are deep-down clean, and certainly, you will feel and look relaxed! Before using the face wash directly, you mix honey (1-2 drops) in it and then rub it on the palm. Now apply it on your face and rub the fingers in a circular motion. Lastly, wash it off. Plus, massaging in a circular motion will help in giving you healthy skin and extracting dead skin as well. Honey protects your skin from bacteria and helps in moisturizing your skin. If you are using the honey for body wash, you can add two spoons in water. You had better use honey regularly because its regular use will give you glowing and soft skin. 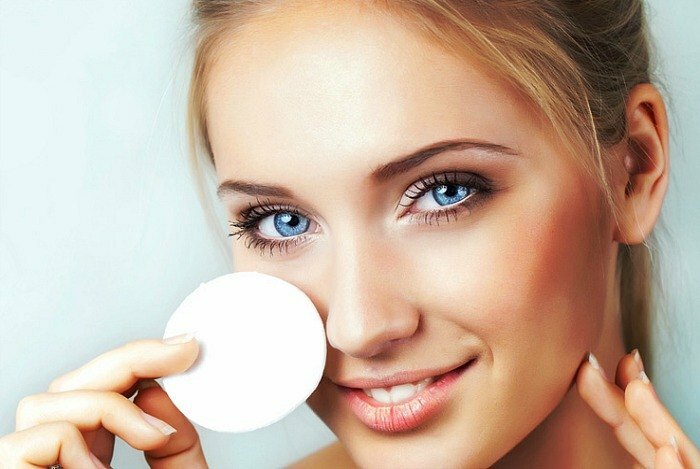 This face pack is one of the great natural homemade beauty tips for glowing skin. 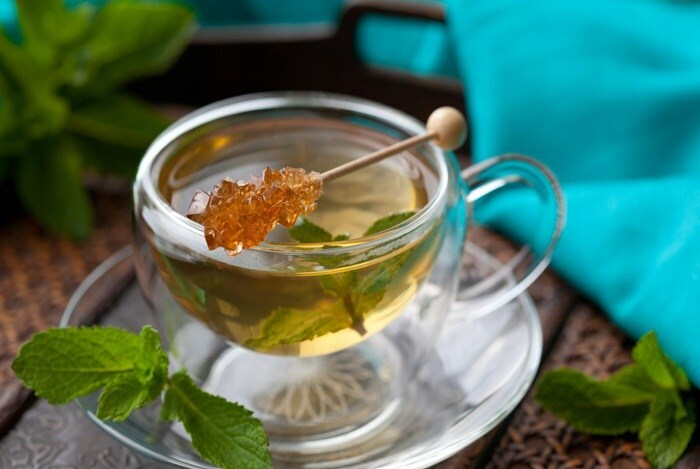 The antioxidants present in tea water will help flush out the toxins and free radicals from the skin. Adding honey also helps to protect the face from bacteria as well as keep it hydrated. The honey moisturizes the skin and the rice flour works as an excellent scrub. Mix all of these ingredients together and apply on your skin. Leave it on until this mask dries completely for about 20 minutes or more. Before rinsing off this mask with water, you ensure to massage in circular motions. 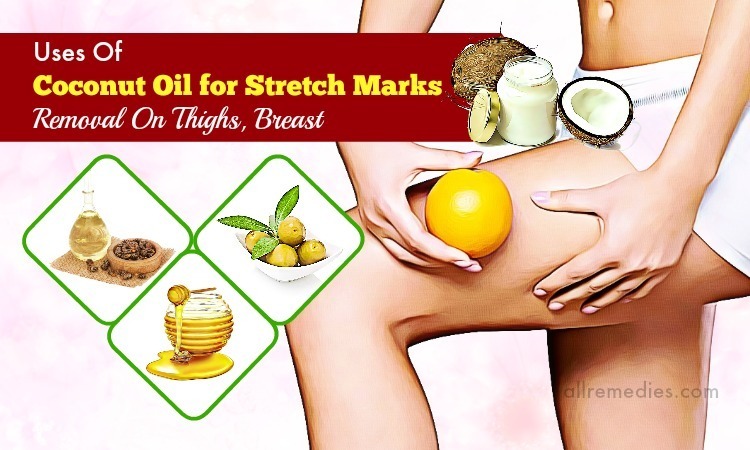 This step is very important as it gets rid of the dead skin as well as evens out your skin tone. Finally, wash your face off with cold water. This process gives you one fairer and skin tone. 1 tablespoon of oats; mashed and cooked (heals the skin and helps reduce inflammation). 1 tablespoon of lemon juice (helps lighten your skin tone). If your skin is sensitive, you can dilute lemon juice with water. Mix all of these ingredients and then apply on the face by gently massaging into your skin. Allow it dry for about 20 minutes. Finally, wash and pat dry. There are a lot of other natural homemade beauty tips for glowing skin presented in this article, so continue reading! Turmeric also gives your skin one visible golden glow. Especially, turmeric is a very great exfoliating agent. In addition, it also prevents your skin from aging. 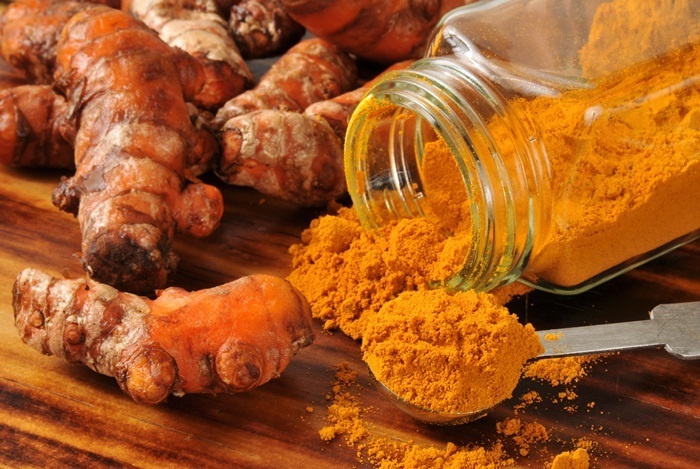 Turmeric also removes acne, wrinkles, blemishes, and stretch marks. 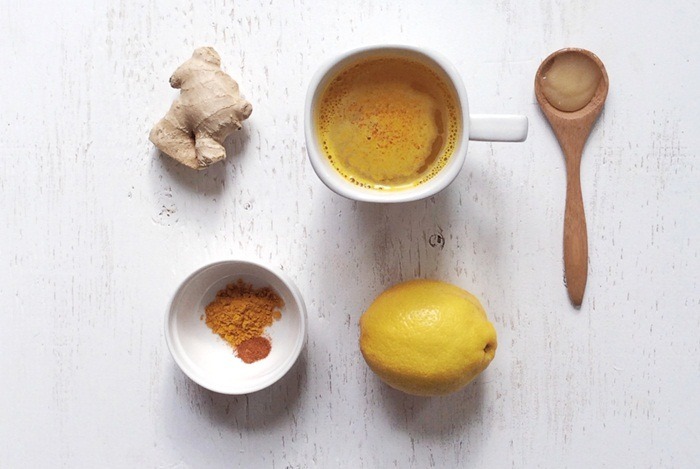 Adding lemon juice to turmeric will make it a potent skin fairness agent. The combination of turmeric and lemon will make one skin fairness agent. Firstly, mix all of these ingredients together and apply evenly to your face. Gently scrub the paste on the face for around 5 minutes and allow it to dry for about 20 minutes. Mix tomato juice with turmeric together. Then apply on the face and let it dry. Finally, wash your face off with tepid water. Alternatively, you can try this even simpler method. You can take the tomato pulp and then massage the skin with it. Allow this on for around 15-20 minutes and rinse it off afterward. You had better do this way every day to notice a visible change in your complexion. Mix all of these ingredients and next apply the mask. Then scrub this paste gently on the face for about 5 minutes and allow it dry for about 20 minutes. Take one cotton cloth and next soak it in water. Then squeeze it in order to drain excess water. After that, put a little coffee powder on it. Then gently rub it on your neck, elbow, knees, and on your back. 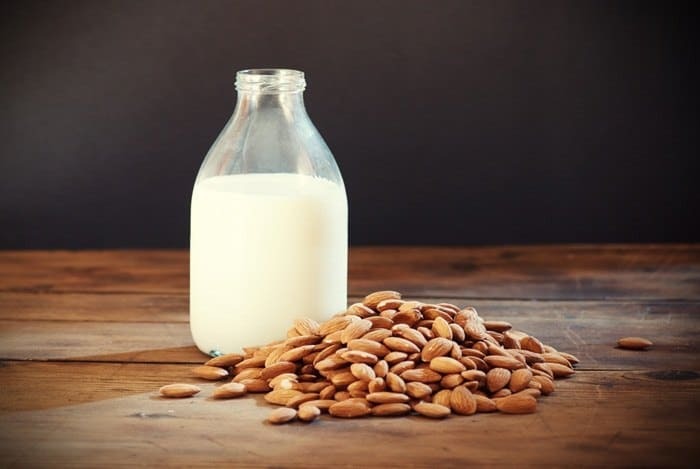 Soak about 5 to 7 almonds in milk and next keep it the entire night. Then grind these almonds with milk (2-3 spoons) until it becomes a paste. Later apply it on the face and sit for around 10-15 minutes. Finally, rinse it off. It is recommended to repeat 2-3 times per week. Orange peel powder – you dry orange peel under the sunlight and after it gets dried, grind it. 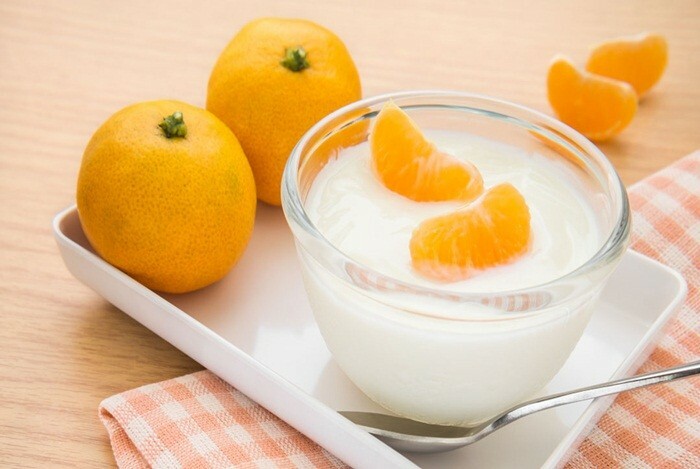 Fresh curd/ yogurt – You take curd (3-4 spoons) and mix this orange peel powder in it. Then scrub your face with this face pack. Gently massage it. Take 1 tablespoon of milk, gram flour (1 spoon) and turmeric powder (a pinch). Mix it well and create a paste. Then massage it gently on the face in circular motion. Allow it for about 10 minutes and then rinse it off with water. 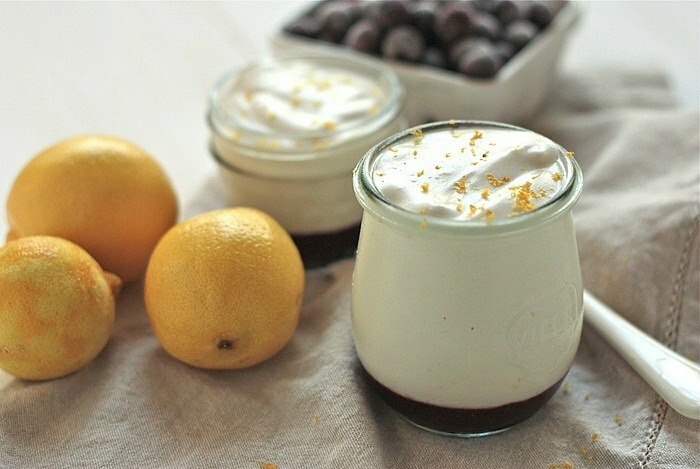 Mix lemon juice (1 teaspoon) with unflavored and fresh yogurt (1 tablespoon) and mix well. If you want to know other natural homemade beauty tips for glowing skin, keep reading this writing! Use one tablespoon each of honey, milk/milk powder and lemon juice, and then mix to make a paste. After that, apply on your cleansed skin and allow for around 15-20 minutes. 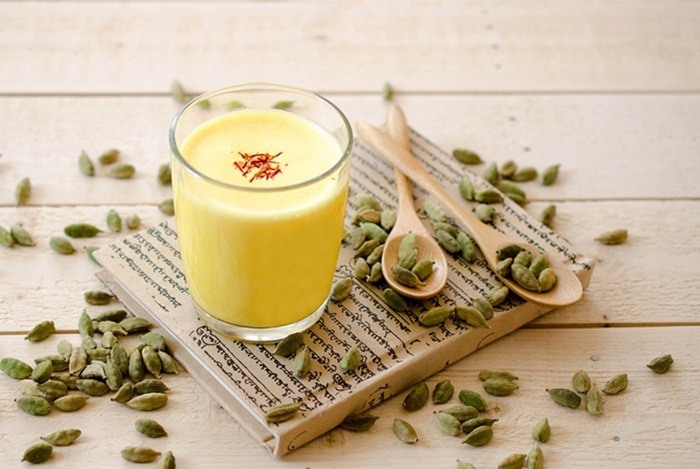 Using milk and saffron is also one of the great beauty tips for glowing skin. Put saffron (5-6 strands) in the milk. Allow it to stay for around 3-4 hours. Cleanse the face and neck, and then apply this mix. Allow it on for about 15-20 minutes. Apply on your cleansed skin. Allow it to dry and finally rinse off. Potato slices, in juice or pulp form. Alternatively, apply the juice on tanned parts of your skin. You had better apply two times every day on your skin. After around 15-20 minutes, wash it off with plain water. The citrus combination is very high in vitamin C. It will protect and brighten your skin. 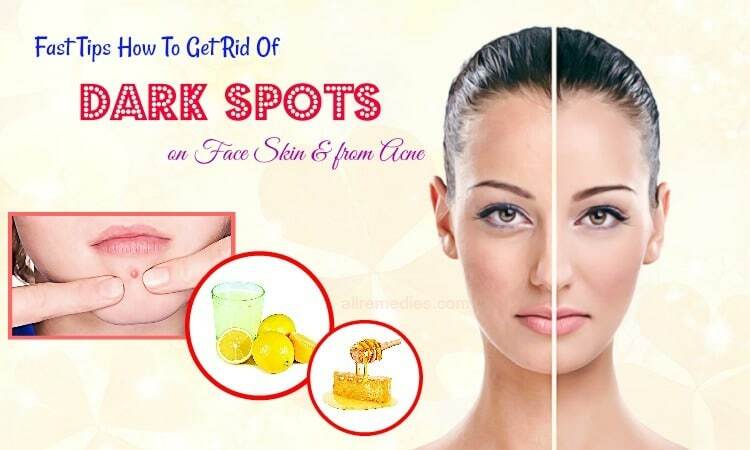 You can use it to remove acne as well as other skin problems. Take lemon rind (or lemon zest) or even orange zest; then expose them in the sun and later grind them to powder. Then mix it with a little raw milk and next use as one pack on your affected areas. Immediately use one cooling toner. A healthy and proper diet is very important for your health and skin too. 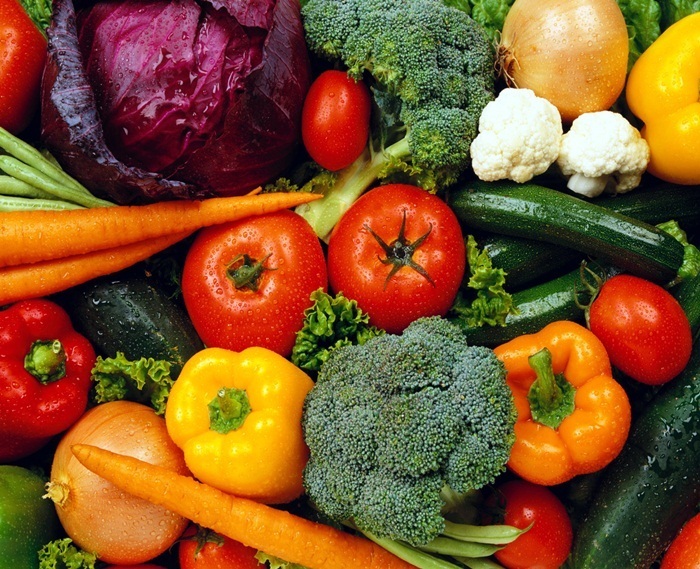 Eat fruits and vegetables with vitamin C for antioxidants they have. 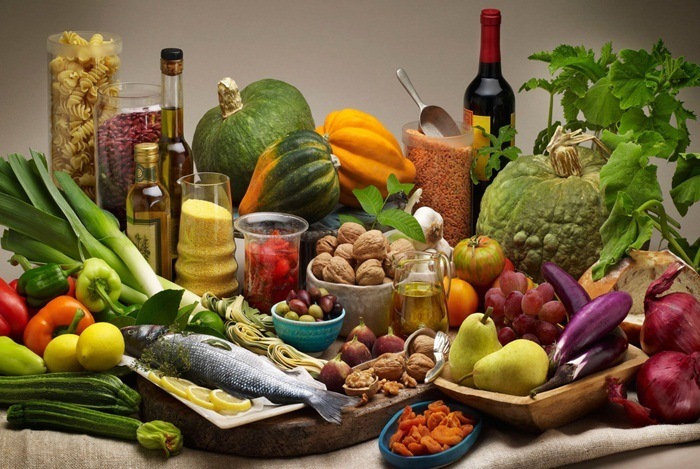 Balance the diet to get the suitable and right amount of unsaturated fats and proteins along with green and fresh vegetables to bring the right portions of the nutrients for the skin. Take one clean spray bottle and then fill it with a little vinegar. Directly spray it on your affected areas and leave it to dry. It normally dries within two to three minutes, and you can immediately relaxing sensation on your skin and feel the cooling. You can repeat the same procedure about once in every five hours to cure your sunburn faster and to prevent the burning sensation. 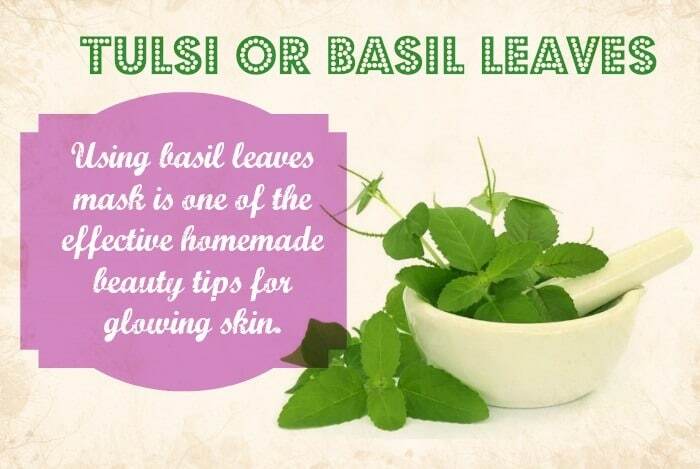 Using basil leaves mask is one of the effective homemade beauty tips for glowing skin. If you see results within weeks, then tulsi leaves are a good way of achieving that. All you need to do is to take some leaves of basil and grind them to create a paste and then apply them to the face and neck. Allow it for some minutes and finally wash your face off with lukewarm water. This face pack is also considered as one of the best homemade beauty tips for glowing skin in summer. All you need to do is to mix cold tea water (one cup) with rice flour (2 spoons) and honey (½ spoon). Now apply this mask on your face and allow it on for about 20 minutes before rinsing it with cold water. These three ingredients act differently on the skin, here, honey helps moisturize your skin, tea water lightens the skin tone and rice flour acts as a scrub to get rid of dead skin cells. Wash your face about 2-3 times per day with one good face wash. Over rinsing your face may result in excess oil production that causes acne. Exfoliate the skin about 2-3 times per week. You should try to use the natural scrubs to get rid of the dead cells from the skin. Avoid taking the hot shower because it will strip off essential oil from your skin and let it less moisturized. This process can also lead to the dry skin. Take multi-vitamin pills daily as it can help in supplying some essential nutrients to your skin. Do not touch the face often because it may transfer the dirt and germs from the hands on to the face. This is, in turn, result in acne. Use as less the cosmetics as possible. You should stay your skin naturally. Change the makeup products, especially foundations, moisturizer and sunscreen lotions, every season. As aloe vera products are readily available in the beauty market, you can apply raw gel of aloe vera on your face every day. This way will help smoothen your skin. Rub lemon on the face and on your sunburn part as it will remove the tan skin and bleaches the skin. Wash the face with rose water before bedtime every night. This will help get rid of dirt from the face as well as make you feel fresh. Bananas are high in vitamin B, E, and A, hence acts as an anti-aging agent. This fruit, when combined with honey, will give an instant glow for the skin. All you need to mix mashed banana (1 tablespoon) and honey (½ teaspoon). Apply this mixture on the face and wash it off with lukewarm water after about 15 minutes. You had better repeat this method about once in 2 days for the best results. Egg yolk is the effective and best remedy to revive lifeless and dull skin. All you need to do is to put the egg yolk in one bowl, and then add a spoon of curd and honey. Stir all of these ingredients well. After that, apply this mixture on the face as one face pack, allow it on until it dries up and finally wash it off with cold water. It is suggested to repeat this remedy every day for two to three months minimum for better results. Drinking plenty of water every day keeps your skin hydrated and plump. Surprisingly, water keeps your skin clear and helps in flushing the toxins from your body as well. Berries such as strawberries, blackberries or blueberries, and raspberries are all rich in vitamin C, which is necessary for a healthy and beautiful skin. 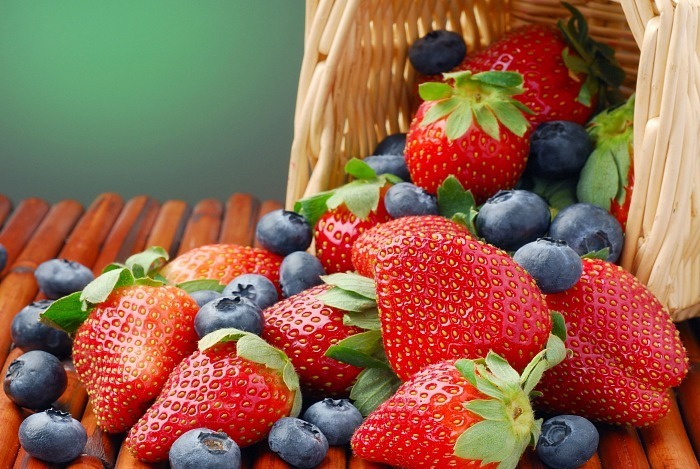 Consuming berries will make the skin look younger as well as protect from inflammation. Boil cumin seeds/ cabbage in the water in order to make you fair. Wash your face off with this water to have incandescent glow in the complexion. You should follow this simple beauty tip for glowing skin. Mango peels mixed with milk (1 spoon) can be applied to your face and neck in order to impart a healthy glow to the face. Massage your face with baby oil (3 spoons) and sugar (2 spoons) every day. You should follow this method for getting baby soft and glow skin. Apply the mixture of rose water (2 spoons), 1/2 spoon of sunflower oil, glycerin, and sugar to get glowing and soft skin naturally at home. Steam the face mixing lavender, mint leaves, peppermint or chamomile in water (2 cups) to get dirt-free as well as glowing skin naturally. You should follow this beauty tip about once in 15 days. If you have acne on the face, you try the home remedy surely. Mix buttermilk (1 spoon) with radish juice (1 spoon) to reduce roughness and wrinkles of skin. You should try this beauty tip. Take cabbage juice, barley flour (1/4 spoon), and honey (1 spoon) as one home remedy to apply on the face to get smooth, radiant, and fair skin naturally at home. You can use the powder of 2 almonds, carrot juice (1 spoon), and orange juice (1 spoon) for about 15 minutes to remove all pigmentations and scars. 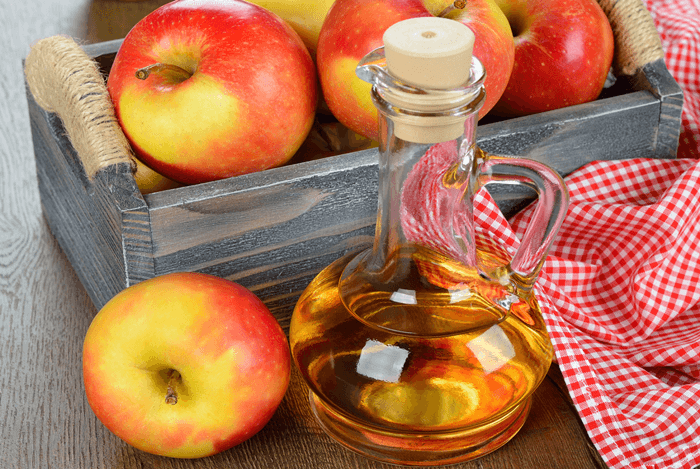 The home remedy can help you in giving smooth, fair, and glowing skin. Use Indian gooseberry oil (amla oil) mixed with glycerin as one beauty tip for glowing and soft complexion naturally at home. Mix malai with walnut powder (1 spoon), honey, and lemon juice to gently scrub your face for about 20 minutes. You should follow this home remedy as one beauty tip for getting fair, glowing and soft skin naturally at home. Mix banana, lemon juice, margarine, and honey together to create the mask at home. Allow entire night on face, hands, and feet. 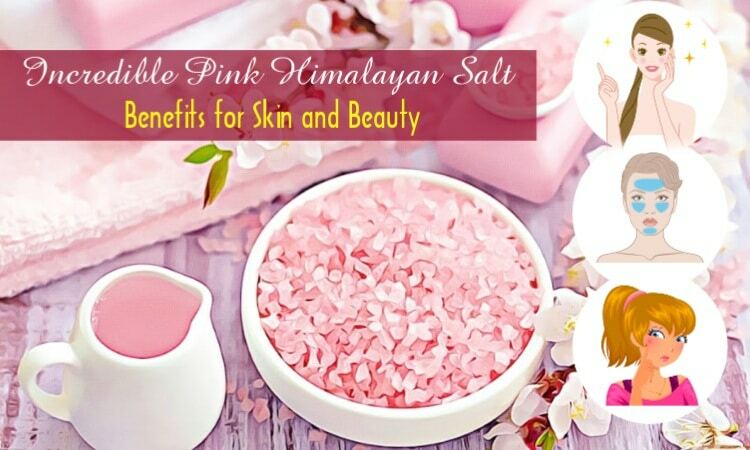 You had better follow this treatment as one beauty tip to get glowing and fair skin naturally. Apply soy flour (2 spoons) with curd (1/1/2 spoons), and 1/2 spoon of honey to rejuvenate even dull and wrinkled skin. 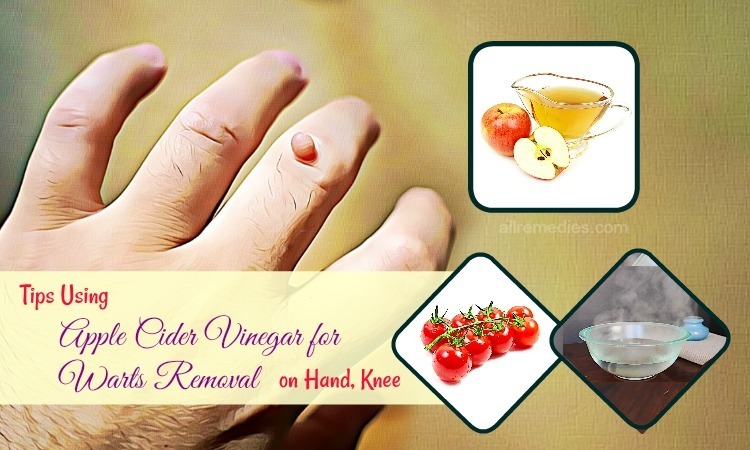 You should follow this effective home remedy for tightening your sagged skin. If you want to know more about natural, at home remedies for other diseases and conditions, go to our main Home Remedies page. 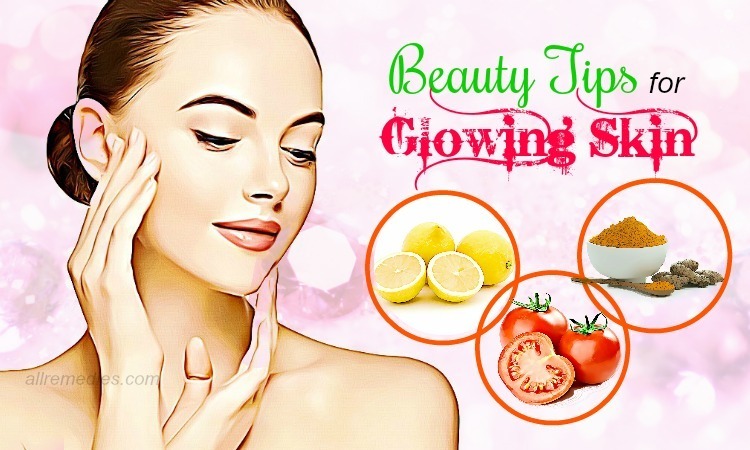 After reading the article of top 31 natural beauty tips for glowing skin in summer at home, hope that it can help you find out the best beauty tip to help your skin glow fast without any side effect. All these tips are very effective in helping your skin glow. However, these ways will take some time to get glowing skin but their results are long-lasting. If you have any question, or you know other ways for skin lightening, please leave them below. Also, you can share the experience if you know any other glowing skin tips to us.